Carla Ferstman is our latest Routledge Featured Author. Read our interview to discover more about her recent book, Contemporary Human Rights Challenges. "Human rights law has become more ‘legal’ – in the sense that it has moved from the moral and the political to the justiciable. This is mainly a good thing as it has helped countless victims of human rights violations to assert and enforce their rights." 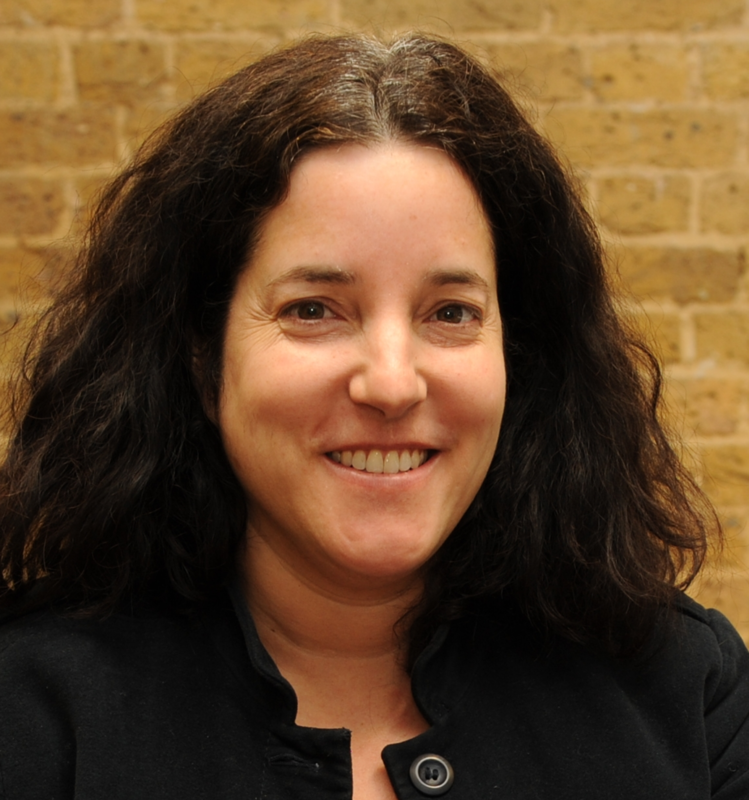 Dr Carla Ferstman, Senior Lecturer at the Faculty of Law, University of Essex, UK. Why is your book relevant to present day Law? How do you think the field of Law is evolving today? The Universal Declaration of Human Rights (UDHR) was drafted by the UN Commission on Human Rights in the aftermath of World War II in an attempt to address the wrongs of the past and plan for a better future for all. With contributions from President Jimmy Carter, UNESCO Secretary General Audrey Azoulay and the former Archbishop of Canterbury Rowan Williams, this collection of essays, Contemporary Human Rights Challenges: The Universal Declaration of Human Rights and its Continuing Relevance, by leading international experts offers a timely contemporary view on the UDHR and its continuing relevance to today’s issues. Reflecting the structure of the UDHR, the chapters, written by 28 academics, practitioners and activists, bring a contemporary perspective to the original principles proclaimed in the Declaration’s 30 Articles. It will be a stimulating accessible read, with real world examples, for anyone involved in thinking about, designing or applying public policy, particularly government officials, politicians, lawyers, journalists and academics and those engaged in promoting social justice. Examined through these universal principles, which have enduring relevance, the authors grapple with some of today’s most pressing challenges, some of which, for example equality and gender related rights, would not have been foreseen by the original drafters of the Declaration, who included Eleanor Roosevelt, René Cassin and John Humphrey. The essays cover a wide range of topics such as an individual’s right to privacy in a digital age, freedom to practise one’s religion and the right to redress, and make a compelling and detailed argument for the on-going importance and significance of the Declaration and human rights in our rapidly changing world. The book is inspired by and dedicated to the memory of Clemens Nathan, a British philanthropist and human rights activist. Clemens fled Nazi persecution in Germany as a child and became an avid human rights supporter and activist over the course of his life. It was Clemens’ belief in the power of human rights as a positive regulating force which was a key inspirer for the book. What we really wanted to explore with this book was whether this belief was naïve optimism or pragmatic realism, some combination of the two or something else entirely. On the occasion of the 70th Anniversary of the adoption of the Universal Declaration of Human Rights, the book engages with the initial post-war impetus for the Declaration and questions whether the Declaration and the edifice of human rights norms that has been built around it remain relevant today. The book is relevant because today – just like 70 years ago when the Declaration was adopted - we continue to confront massive violations of human rights fuelled by discrimination and xenophobia. The human rights architecture is under attack – by those who would prefer to apply different standards to those they see as “less worthy” – migrants and non-citizens, terror suspects, minority groups. But it is also under attack by those who argue that the human rights architecture is too weak and flawed to address modern social inequities, and are concerned that it’s overly-individualistic and legalistic focus is unhelpful. Human rights law has significantly expanded and become more entrenched, and the book explores many of the way in which human rights law has evolved in recent years in areas as diverse as the right to privacy, modern forms of slavery, sexual orientation, statelessness and social justice. The authors – the majority of whom are renowned experts in this field, navigate these tensions in often unique ways. Human rights law has become more ‘legal’ – in the sense that it has moved from the moral and the political to the justiciable. This is mainly a good thing as it has helped countless victims of human rights violations to assert and enforce their rights. However, a ‘legal’ human rights project is far too narrow to achieve all that needs to be achieved – and in particular, to transform societies. So there are down-sides to a focus which is overly ‘legal’. Also, human rights law has become more and more compartmentalised. This too, is a product of greater specificity and legality, but again, it has a down-side in that there is a tendency to overlook or downplay the connections between different types of human rights violations and the wider social issues affecting communities. Ultimately this results sometimes in a skewed vision of the causes and consequences of human rights violations, and makes the process of trying to address those violations, more complex. The book was a great project because it involved collaborating with a committed and diverse editorial team – including members of Clemens’ family - and also put me in touch with people I could not have imagined to be in contact, like former President Jimmy Carter and Lord Alderdice, among the many superstars we managed to coax into participating in the edited collection. So this was fun, but also very humbling. I have taken a long and circuitous route to academia, involving many stops and starts and lots of work in private practice, with intergovernmental and non-governmental organizations along the way. I studied philosophy and law in Canada. After a number of years in practise, I pursued an LL.M in international law at New York University, and almost 20 years later, finalised doctoral studies in public international law at the University of Oxford. A key highlight for me was the long period I spent as Director of REDRESS. In that role, I had occasion to meet and work with many committed human rights defenders from all corners of the world, supported countless courageous survivors of torture in their efforts to seek justice for what happened to them and was at the forefront of the movement to improve victims’ standing in international criminal law procedures. I am in the middle of Lindsey Hilsum’s latest book, In Extremis – about the life of Marie Colvin. 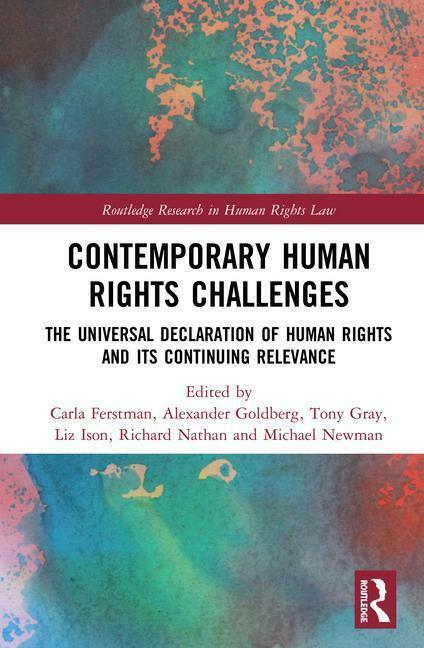 Click on the image below to access a free chapter of Carla Ferstman's recent book, Contemporary Human Rights Challenges.